SEOUL, Jan. 18 (Yonhap) -- Prosecutors filed for a court warrant Friday to arrest former Supreme Court Chief Justice Yang Sung-tae in the investigation into alleged abuse of judicial power by top court officials under his leadership. Yang, who headed the top court from 2011-2017, stands accused of using or seeking to use trials as political leverage to lobby the office of then President Park Geun-hye to get her approval for the establishment of a separate court of appeals, his pet project. He underwent a 14-hour prosecution interrogation last Friday, becoming the first former head of South Korea's Supreme Court to have faced questioning as a criminal suspect. He had two more interrogations on Monday and Tuesday. 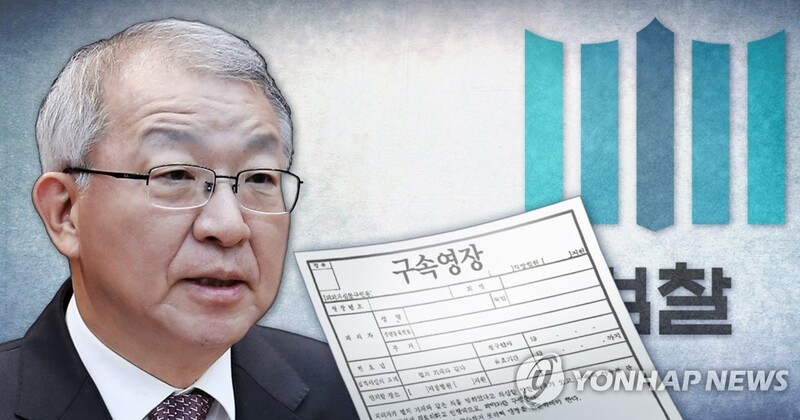 The retired veteran justice is alleged to have instructed his officials at the National Court Administration (NCA), the top court's governing body, to devise ways to interfere in trials whose rulings potentially held high political significance for Park. He is also accused of having orchestrated a delay in the deliberation of a damages suit filed by Korean victims of Japan's wartime forced labor, to curry favor with the former president, who was seeking amicable relations with Tokyo. Yang, 71, has categorically denied the allegations. Appearing for the first prosecution questioning, he defended the court system and officials, calling on the public to watch the probe "without bias or prejudice."